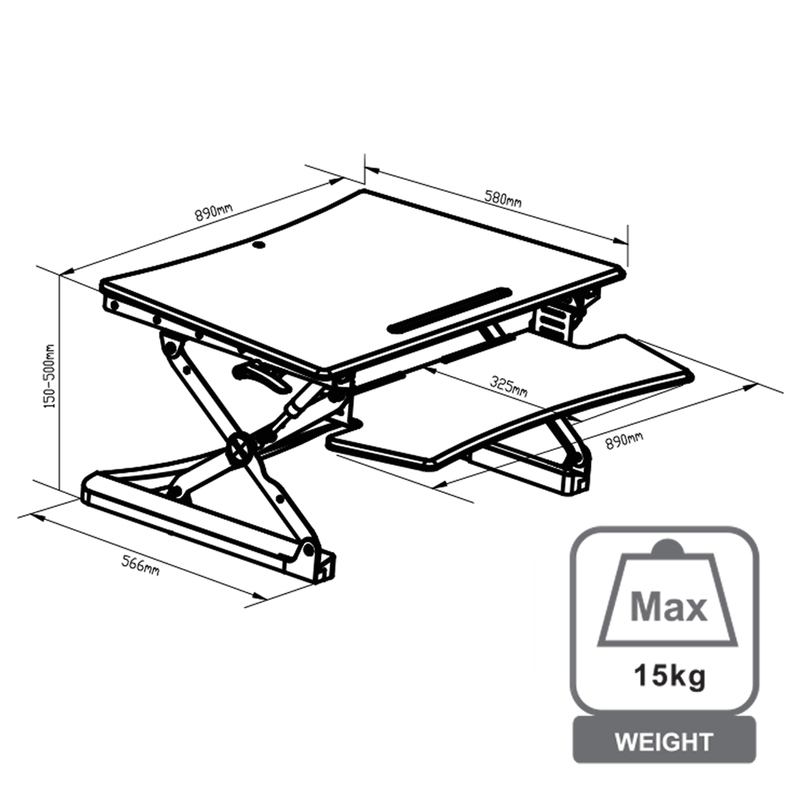 This riser works with most existing desks and offers a large keyboard tray and work surface. The scissor-structure and gas spring means adjusting the height is always a smooth process. The risers feature 15 height setting with a 150-500mm range. There is also a support groove on the surface for a smartphone or tablet. The Desktop Riser is available in two sizes, suitable for single and dual monitors and has an easy, smooth gas spring movement meaning a wide range of heights are available. Unlike its alternatives, the Sit-Stand Desk Riser guarantees comfort for anyone in the workplace. 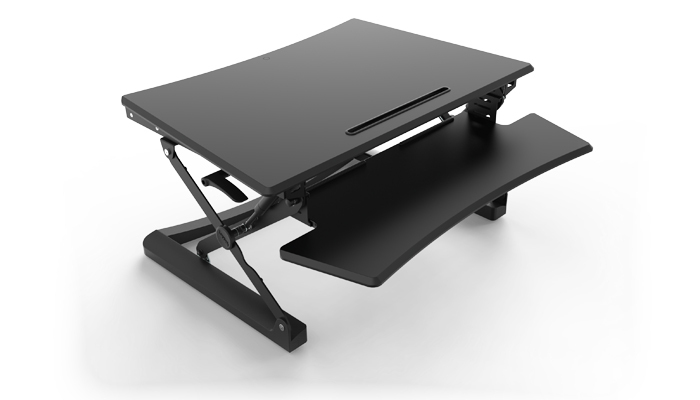 The medium riser allows for the use of dual monitors or a monitor and laptop, with plenty of room for ease of movement and your office essentials, whilst the small riser is ideal for a single laptop or monitor and keyboard.